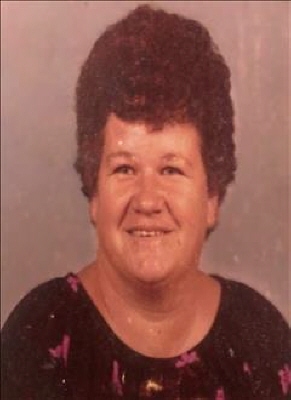 Mildred (Marie) Carter, 76 year old Clarksville, Arkansas resident and former Woodward resident, died Monday, April 8, 2019 in Clarksville, Arkansas. Graveside funeral services will be held at 10:00 a.m. Monday, April 15, 2019 at Elmwood Cemetery with Pastor Eddie White officiating. Arrangements are under the direction of the Billings Funeral Home. Mildred Marie Carter was born on March 2, 1943 in Pauls Valley, Oklahoma to Ivan and Ruby (Monk) Nunley. Mildred grew up in Lindsay, Oklahoma and attended Lindsay schools. In 1972, Mildred married Clarence Edward Carter in Gainesville, Texas and made there first home in Lindsay, Oklahoma. She enjoyed karaoke, arts and crafts, cooking, and fishing. Spending time with friends and family always brought Mildred the most enjoyment in life! She was also a member of the First Baptist Church of Vici, Oklahoma. She is survived by her two sons, Quincy Carter and wife Natalie of Noble, Oklahoma; Tristan Darrell Carter of Clarksville, Arkansas; one daughter, Anita Bogges of Clarksville, Arkansas; brother, Bill Nunley and wife Toni; sister-in-law, Alma Nunley; seven grandchildren; seven great grandchildren; other relatives and friends. Mildred was preceded in death by her parents; husband, Clarence; son, Allen Ray; brothers: Linda, Leroy, Jerry, Calvin, Pete, and J.D. Nunley; sisters: Mildred Taylor and Vernice Case; and grandson, Bradley Bogges. To send flowers or a remembrance gift to the family of Mildred Marie Carter, please visit our Tribute Store. "Email Address" would like to share the life celebration of Mildred Marie Carter. Click on the "link" to go to share a favorite memory or leave a condolence message for the family.